Gather to hear how last year went and what's in store for next year. 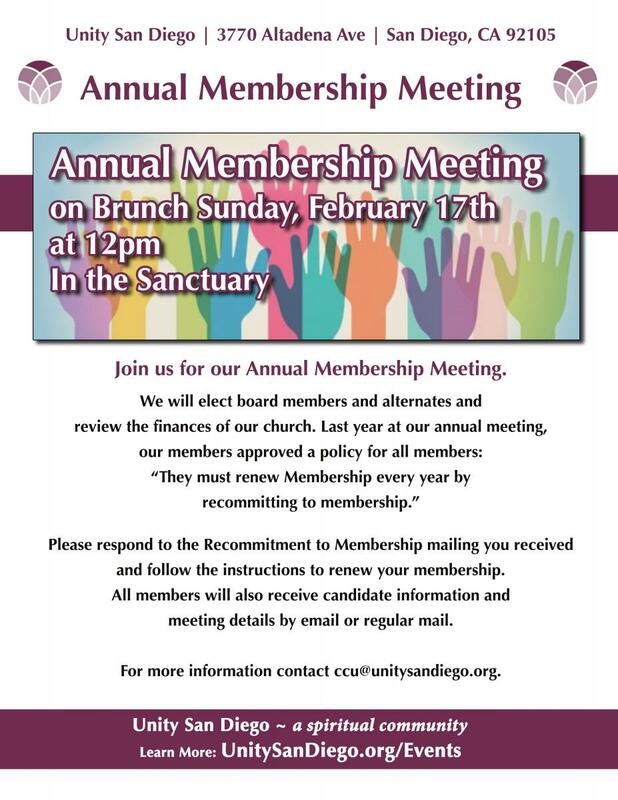 Join us for our Annual Membership Meeting. Please respond to the Recommitment to Membership mailing you received and follow the instructions to renew your membership. All members will also receive candidate information and meeting details by email or regular mail. For more information contact ccu@unitysandiego.org.